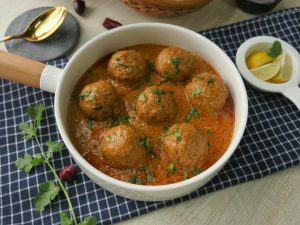 In bowl,add chicken mince,corn flour,coriander seeds,dried pomegranate seeds,ginger garlic paste, salt,corn meal/maize flour,red chili crushed,cumin seeds,whole spice powder,green chilies, tomatoes, onion,mint leaves,coriander,egg and mix well until well combined. 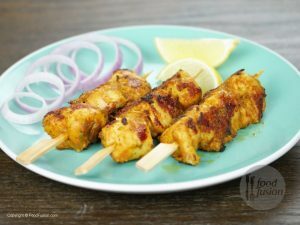 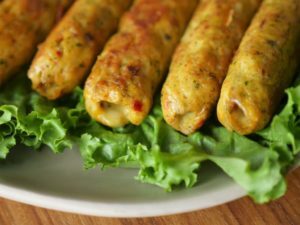 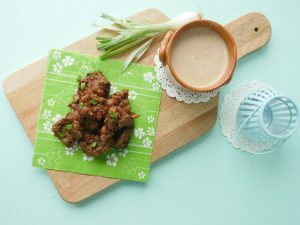 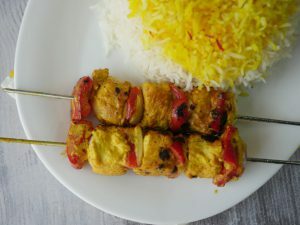 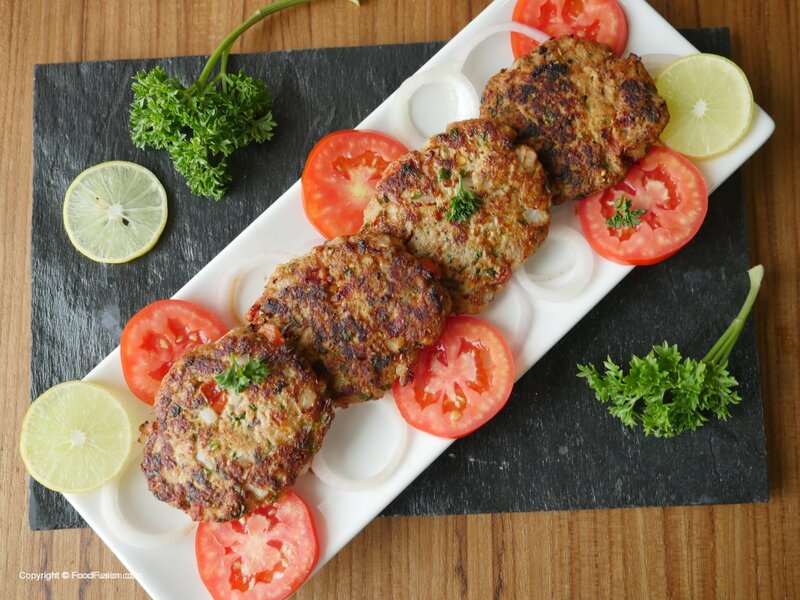 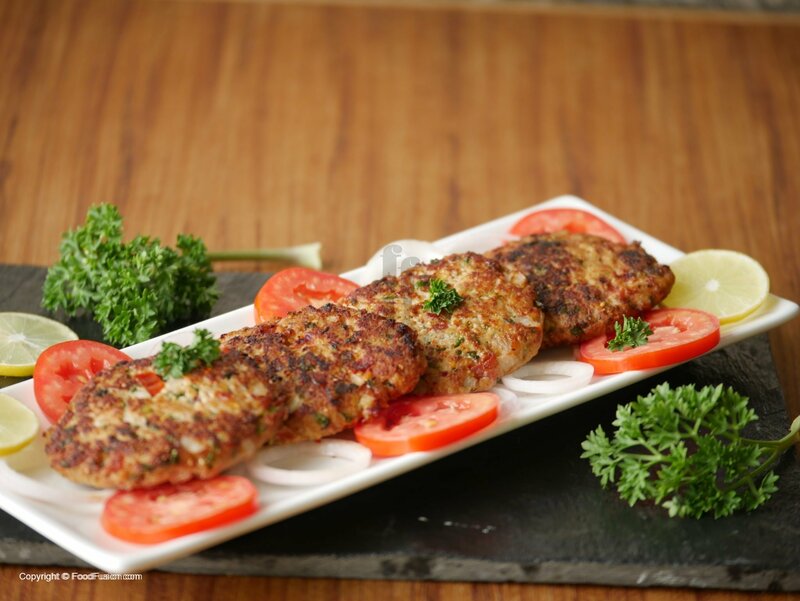 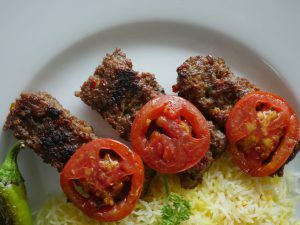 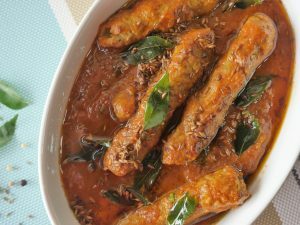 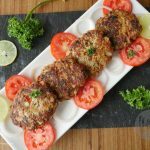 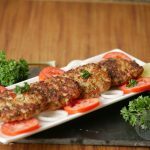 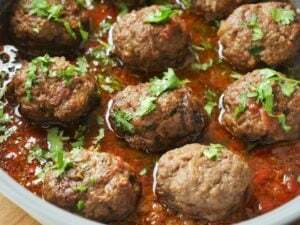 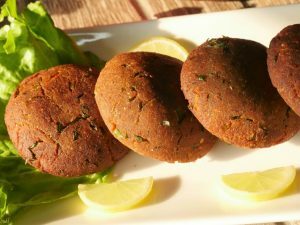 Take a mixture and make 10-12 kababs. 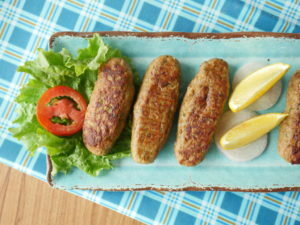 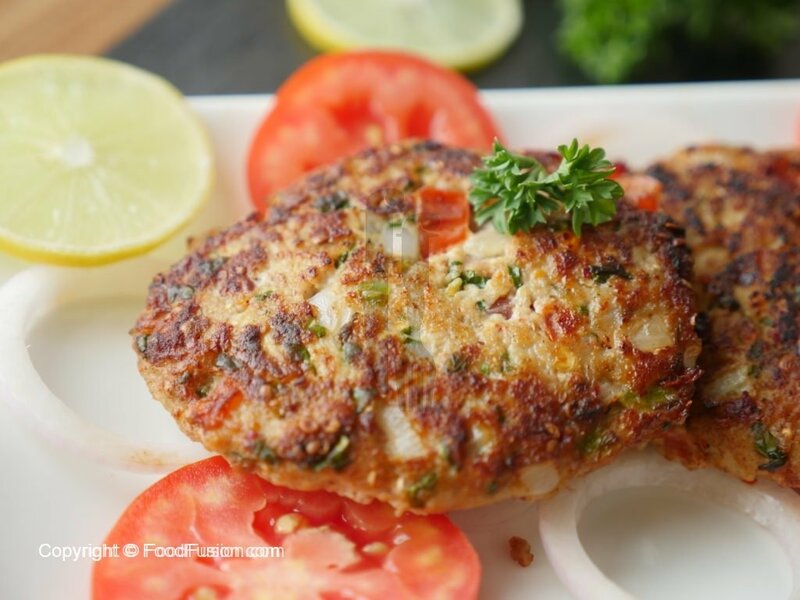 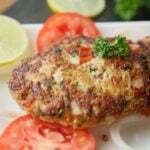 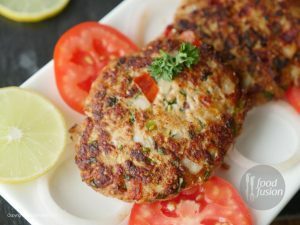 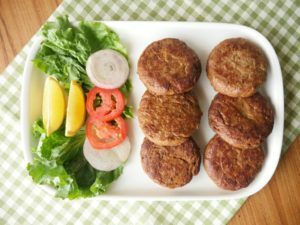 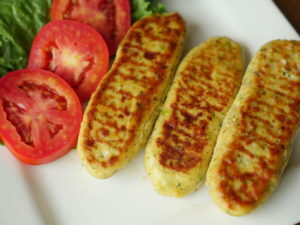 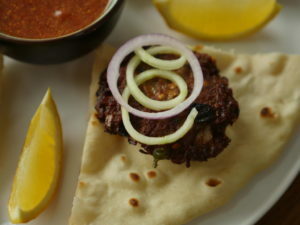 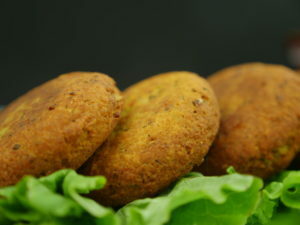 In frying pan,heat oil and fry chapli kabab on medium low flame until done. 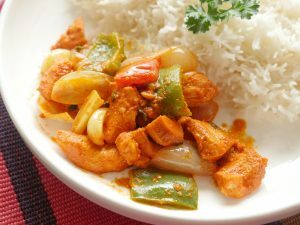 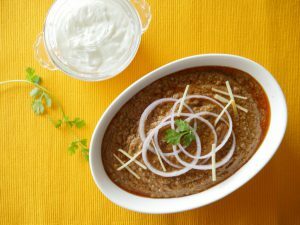 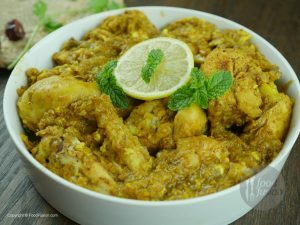 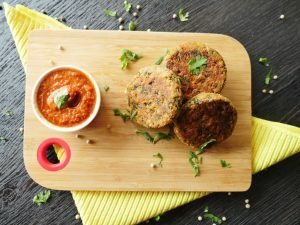 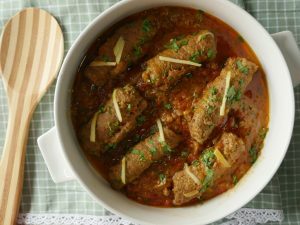 Bowl mein chicken qeema,corn flour,dhania,anardana,adrak lehsan paste,namak,makai ka atta,lal mirch crushed,zeera,garam masala powder,tamatar,pyaz,podina,hara dhania aur anda dal ker ache tarhan mix ker lein. 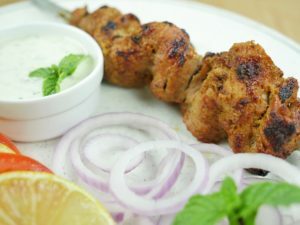 Dhak ker 30 minutes kliya rakh dein. 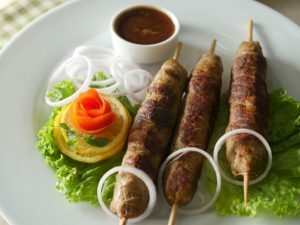 Mixture ka 10-12 kababs bana lein. 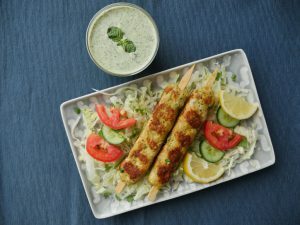 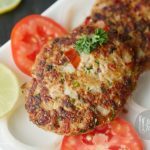 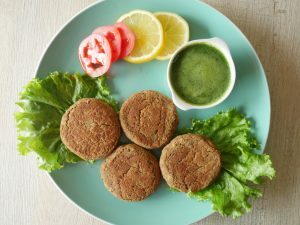 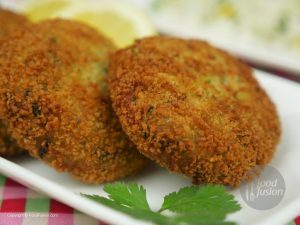 Frying pan mein oil garam karein aur halki darmiyani ancch per chapli kabab ko fry ker lein.